Woodstock just observed one of the year’s most exciting events —Aug. 15, the Indian Independence Day, which is also the Korean National Liberation Day. 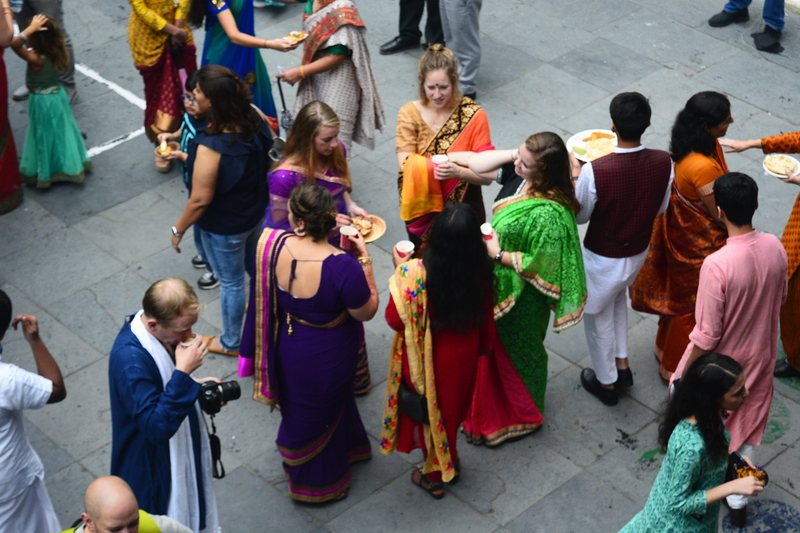 How often do you see an American student dressed in an Indian traditional dress or an Indian student dressed in a Korean traditional dress? Well, it happens here at Woodstock. “The Woodstock culture has broadened my mind by the way in which people relate to each other. I think that the open-mindedness and diversity here is what makes it so different from other places, and regardless of the fact that everybody is so different, there’s a special bond between people,” Mr Richard Davies, head of upper years, said. Senior advocate of the Supreme Court Siddharth Luthra, the guest speaker, talked about the Constitution of India and the significance of secularism and India’s persistence towards it. New students and faculty members were really impressed by Woodstock’s age-old traditions. “The best part was when the two students got to hoist the Indian flag because they’ve been here the longest. I’ve never heard of a school that honours students that way, and I was really surprised by it!” Mrs Lisa Musick, music teacher, said.